How do you know if you’re shedding too much hair? With shedding, everyone’s experience varied – the amount that you shed may be utterly different than that of somebody else. Don’t be alarmed or think you might be doing something wrong just because the amount that comes out is more than that of others. Keep in mind that each situation is unique. 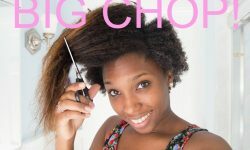 Is There A Difference Between Breakage And Shedding? 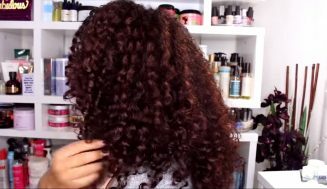 There’s a difference between breakage and shedding. Shedding is natural. Daily, your hair is going to go through this process of hair loss. Naturally, you lost strands every single day. On average, most of us shed up to 100 to 200 strands per day. You can shed more if you’re always stressed out or have health issues. It depends on your situation. 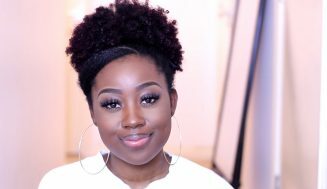 Okay, here is the main difference between natural hair shedding and breakage. When you shed the hair usually comes out in long full strands, that’s because it breaks from the root. When the hair is breaking the process is different. 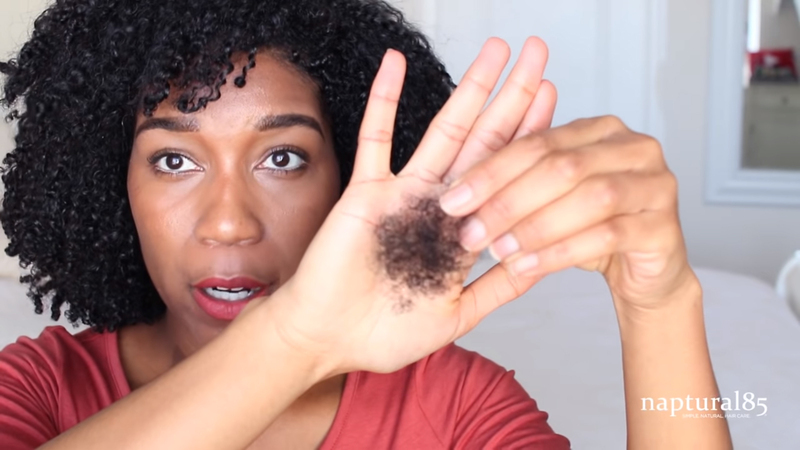 How to Determine If Your Hair Is Breaking Or Shedding? With breakage, the hair is usually in shorter pieces. It’s not going to be the actual length of your entire strand. One way to find out whether your hair is breaking or shedding is by looking at the very end of a strand. Pick the strand up against the light and check the end of it, if it has a bulb on the end that’s opaque and white, then you’re shedding because it came out of the root. If it doesn’t have a bulb, then that’s breakage. Your hair breaks when you’re not caring for it properly. 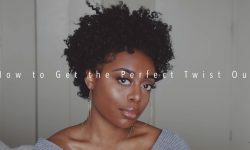 A lack of moisture and damaging hair practices can cause damage – for example, combing too roughly, using too much protein, and mistreatment. There are numerous ways for one to mistreat one’s hair. 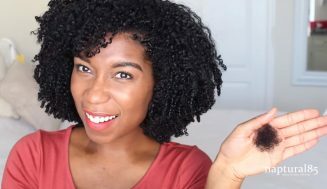 How To Protect Your Natural Hair? Make sure you’re doing everything to protect your hair all the time. 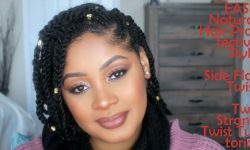 In the winter months, try doing more protective styles. 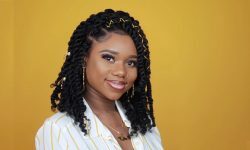 A protective hairstyle is a style that protects the ends of your hair by helping to decrease tangling. Be careful of your hair rubbing up against wool scarves; make sure you wear a satin scarf to bed or have a satin pillowcase because your strands can dry out as you sleep. If your hair is constantly rubbing up against a wool scarf, that can cause breakage. Make sure you’re using leave-in conditioners and moisturizers. Apply extra on the ends since that’s the oldest part of your hair and they tend to be drier which means they break quickly. 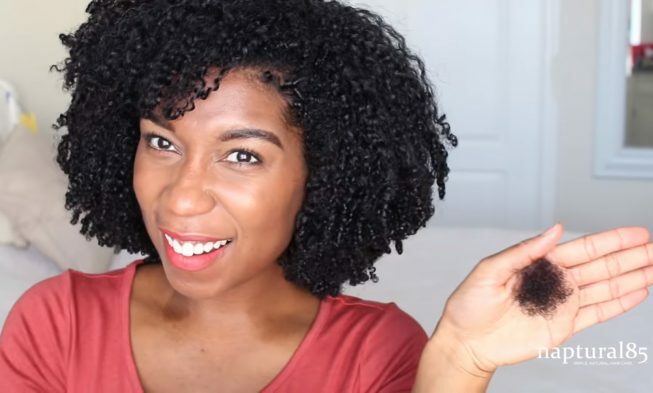 Use oil to seal in the moisture to make sure you’re not losing hair unnecessarily. If you like to wear a turban; head wraps; or hats of any kind, make sure it’s lined with satin or create your lining for it. Have something satin underneath so that your hair isn’t losing moisture. You want the inside of your hat to be satin, so you’re not losing hair or drying your hair out unknowingly. You want to avoid rough materials as they can cause additional breakage that you might think is shedding. If you feel like you’re shedding too much hair due to health issues or an abnormality of some sort, see a health care professional. If you have a high level of daily stress, ailment, diet change, medication change, and hormonal fluctuations, they can all contribute to excessive shedding. 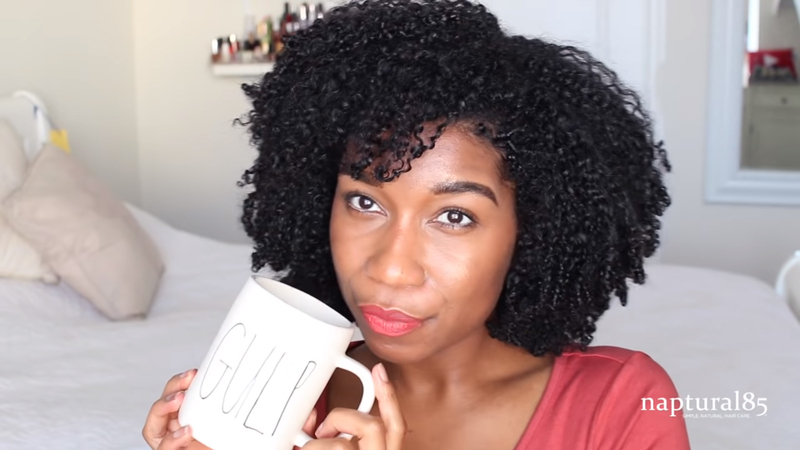 A lot of people get scared after taking out their braids, crochet, or some style they had on for a long time. Remember your hair can shed up to 200 strands a day. It’s natural. 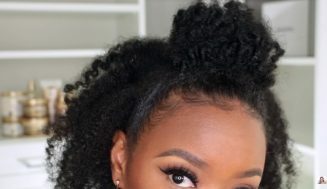 If you haven’t been combing your hair regularly, it is perfectly reasonable to have more than the usual amount of hair comes out after a protective style. If that happens, then it’s not a cause for concern. 1.) ACV rinse. That’s an Apple Cider Vinegar rinse; you can either make it yourself or buy it. Combine one-part ACV and two parts water. But, make sure to wash your hair first and then apply the rinse and let it sit for 15 minutes then rinse it out. You can use the one from Apple biotic; it contains a probiotic which helps keep your scalp healthy. The ACV and probiotic, together, is making sure that your hair receives that moisture and nourishment. Plus, it gets rid of product build-up and exfoliates the skin. 2.) Coffee rinse. Make some coffee like you normally would. Apply it to your hair and leave it there for 10 to 15 minutes, then rinse it out. Caffeine helps to block DHT which is the hormone that causes hair loss. 3.) 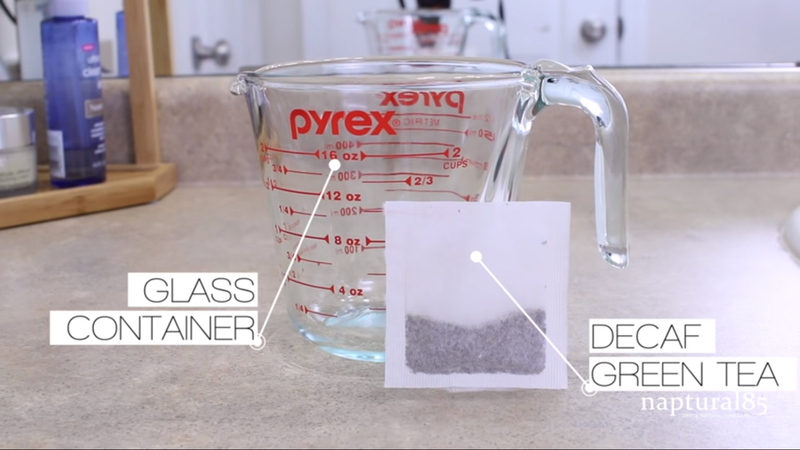 Green tea rinse. Use the same technique as you do with the coffee. Boil a big pot of water, add the tea as you would typically do, apply a generous amount to your hair, and rinse it off after 15 minutes. Please Do Not use water while too hot. Take Great care of your hair. Remember shedding is natural, breaking is not. If you are experiencing excessive shedding, and you feel like there is more to it, then you need to go to the doctor to figure out what’s going on. Thanks for reading and I’ll see you all next time. 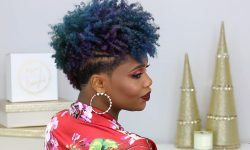 We have supplemented this article with a video by Whitney from Naptural85 bellow, and she goes in more detail about a simple way to reduce shedding that works well. It uses one of our recommended rinse solutions above. You will love it. Leave any questions or comments you have about this topic below. 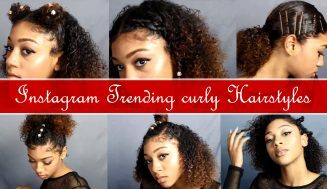 Add more methods or techniques that one can use to grow their hair. What is your daily routine? Will you follow any of this advice? And also, let us know what future topics you want to see from us.